we are 25 years old.The business was formed 13.04.1994 and has provided a consistantly high level of product and customer service. We have been part of many changes both in our own business and in the rail industry as a whole. We believe that we are the rail business with the longest history under the same name, in Eastleigh. Unless you know different. XBR Have reviewed and amended their QMS to the new international standard. Our transition date is 12/02/18. The XBR automatic WSP MK1 and Mk2 test equipment is currently being adapted for use on Mk3 Coach WSP with a view to use on the HST power car. This is a reverse engineered product from a customers sample and is currently undergoing testing. 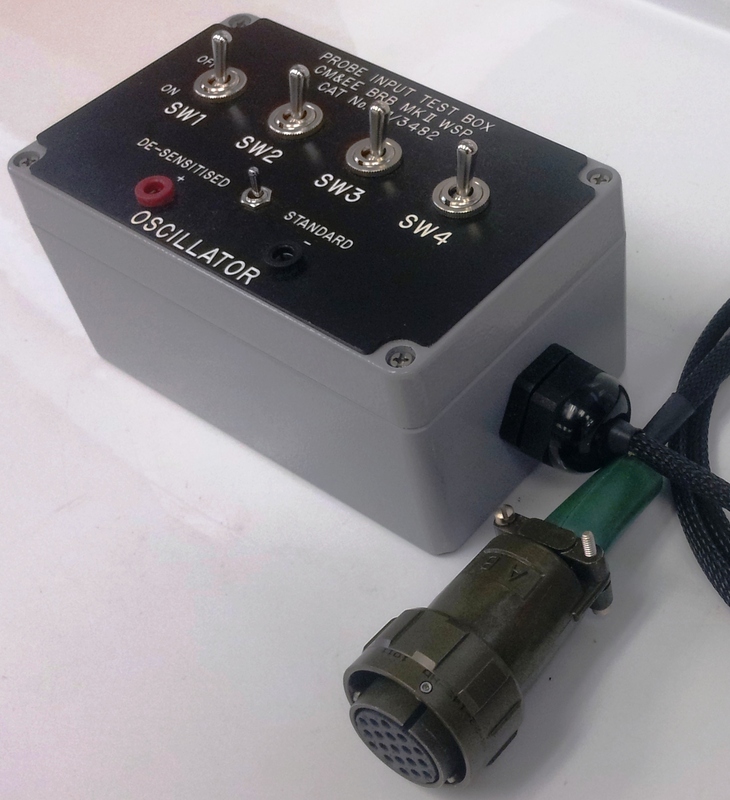 There is now a dedicated Facebok page for The XcaliBR ATE Automatic Test Equipment for Mk1 and Mk2 WSP. 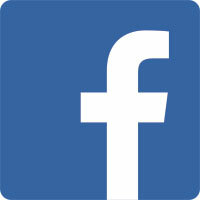 Just Click on the facebook logo and "like" to follow the news on this product. 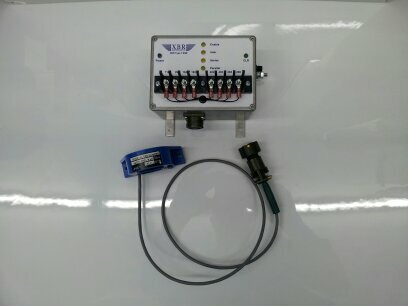 The C313 vehicles need to to be sequence tested and to do this a module that fits in place of the relay module and enable the operator to mimic operations of the WSP whilst the vehicle is stationary was deveolped. Our customer found themselves with too few spares and unable to purchase new from the original supplier. XBR were able to construct a version of the original from a sample that had been supplied. The sample was sent to us when the vehicle entered the depot and we took the relevent information from the sample and returned it in time for the vehicles departure from the depot. Do you have WSP test equipment that is on its last legs? 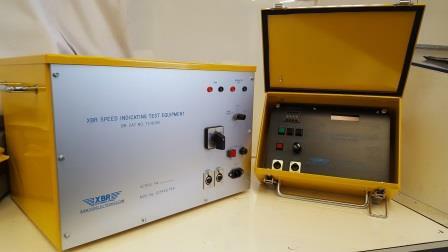 We can supply versions of the original manual level 2 test equipment. A Certificate of design Conformance has been issued by Atkins Rail (RSSB) for the modification of the Mk2 WSP to Mk1 operation. A Mark 2 WSP Rack can now be fitted to a Class 313. The C313 uses a Mark 1 WSP (97/2362, 97/2363) and spares for these racks are scarce so by using the Mk2 WSP as a donor which can then modified by XBR as a "black box" replacement for the DMC rack a fully functioning "MK1 WSP" can be created. This rack has all the functionality of the Mk1 rack and it is expected that it will have the reliability of the Mk2 WSP which is an obvious improvement when compared to the Mk1 WSP. The DMC rack (97/2362) is interchangeable between both the DMC and RT positions on the vehicle simply by removing the Slip Comparator (97/2513) so in fitting the XBR DMC WSP original MK1 DMC WSP are free'd up for use as stock for both the DMC (97/2362) and RT (97/2363) positions. Carbon pile regulators are yesterday's technology and yet they still hang in there - or do they? It is becoming increasingly more difficult and more expensive to have the carbon piles replace - and how reliable are they? The XBR Shunter regulator for 08/09 90v and 110v shunters is currently under production. This has been used by many shunter operators and has proven to be reliable in the field. 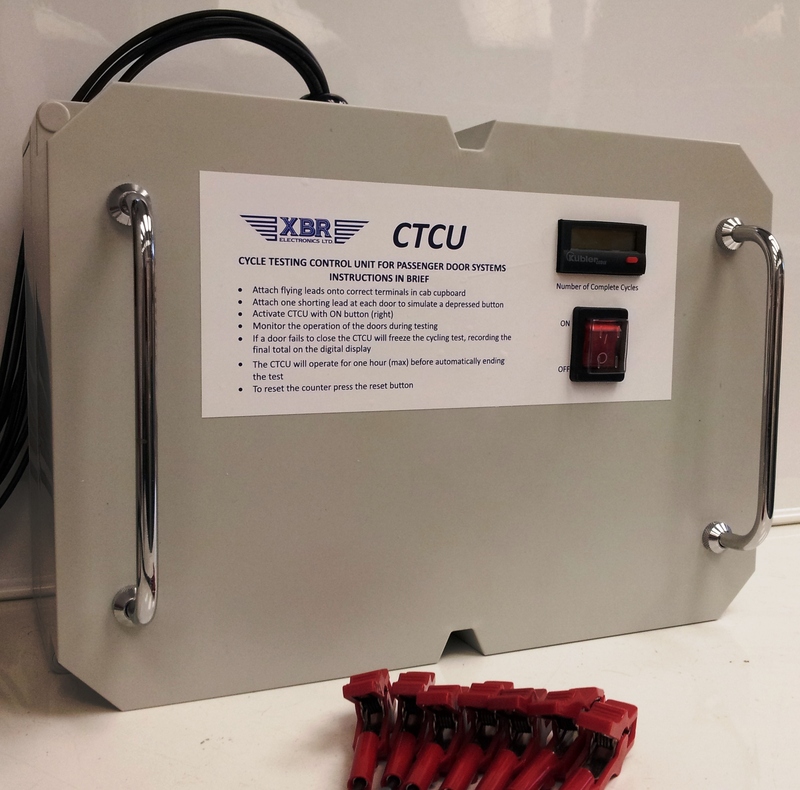 The continuing XcaliBR project to develop a replacement Automatic test set for use on Southern Railway's C455/456 fleet is nearing completion. 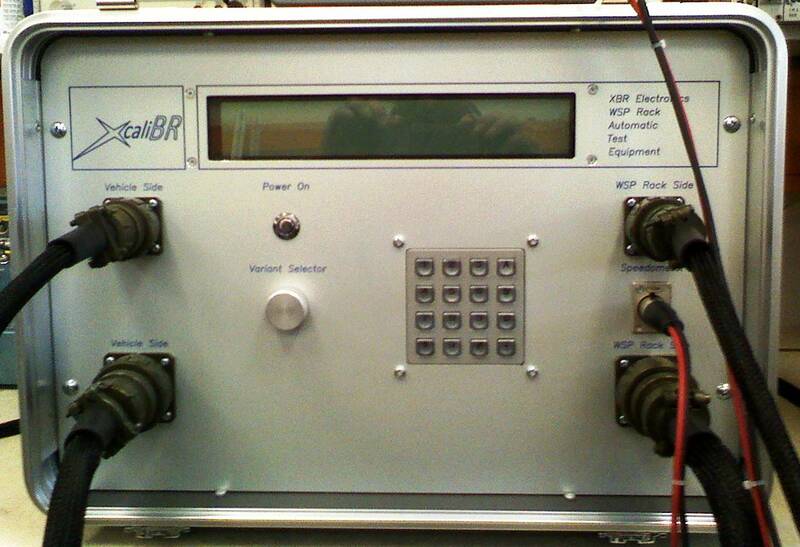 The software for testing the C313 WSP has been installed and is undergoing final testing at XBR. This project was initially conceived to be a replacement for the existing WSP ATE and was for use on the C455, C319 and C456 fleets at Selhurst depot but it has now been expanded to include the Mark1 WSP that is used on the C313 fleet. Southern's working brief was that the equipment should be "Ruggedised" to make it more reliable for depot use than the equipment that it replaces. The design includes a single plane motherboard onto which all the other printed circuit boards are mounted. this avoids the problems caused by the rack mounted modules in its predecessor. The entire test set can be trolley mounted for ease of use. The prototype of this equipment has been returned to XBR for upgrading to the production version after several successful years service in the field. Class 455 CLR Passes "Type Approval"
Southern Railway have committed to replacing the existing C455 CLR with the XBR CLR and have commisioned two prototypes to replace the CLR on the C442. 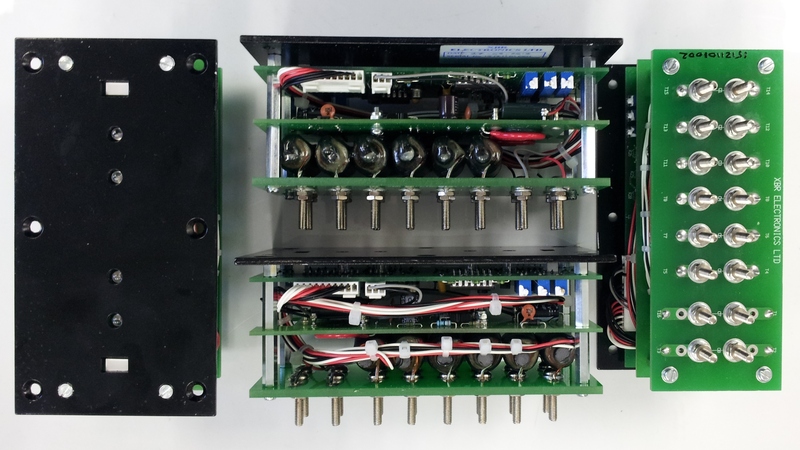 The Current limit Relay that is used on the C455 is notoriously difficult to set accurate enough to enable two 455s to run as a set. XBR were given the task of developing an electronic version. 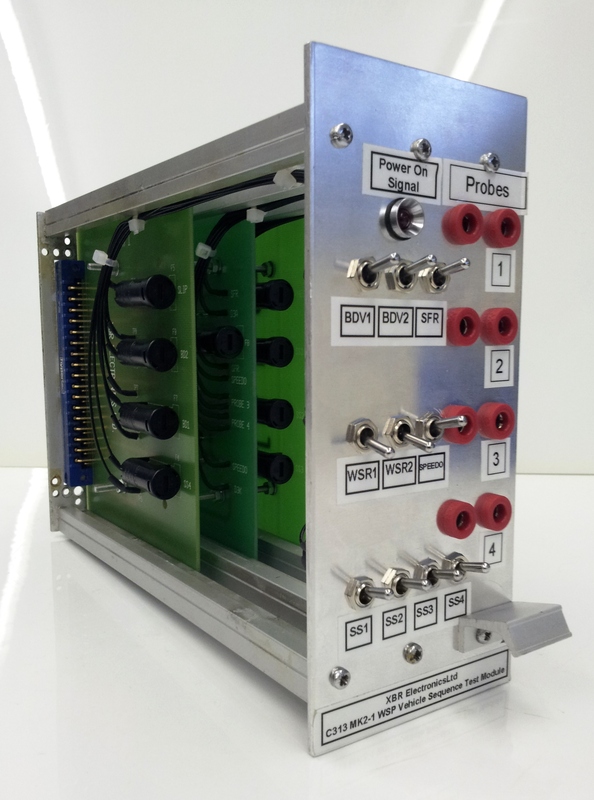 This prototype has passed all of the relevant EMC tests and the Initial vehicle tests have been completed. Current indications are that it is suitable for use on the C442 so watch this space.